Karen Ries of HANA Organic Skincare has set a new standard for the natural beauty buff series. Basically everything that she has shared with us is local to her (she hails from the Pacific Northwest), and though I cocked my head at the inclusion of heavy cream in her list, of course she mentioned how to use it in your green beauty treatments! 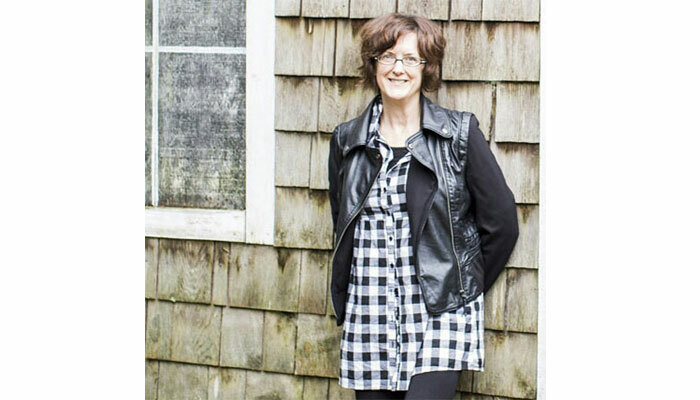 Karen created HANA Organic Skincare in 2011 and is committed to fresh products that are handmade in small batches. As a certified herbalist, Karen understands how to choose potent, medicinal herbs for use in her collection. She obviously also understands how to treat herself; between the inclusion of heavy cream, spiced chai and Theo Chocolate (a favorite of mine! ), Karen’s picks had me drooling and, subsequently, craving/needing a bath. Her picks have inspired me to think about the food and beauty companies that are local to me and how I can continue to support them in everything I do. As always, I’ve starred the items below that I also use and love! 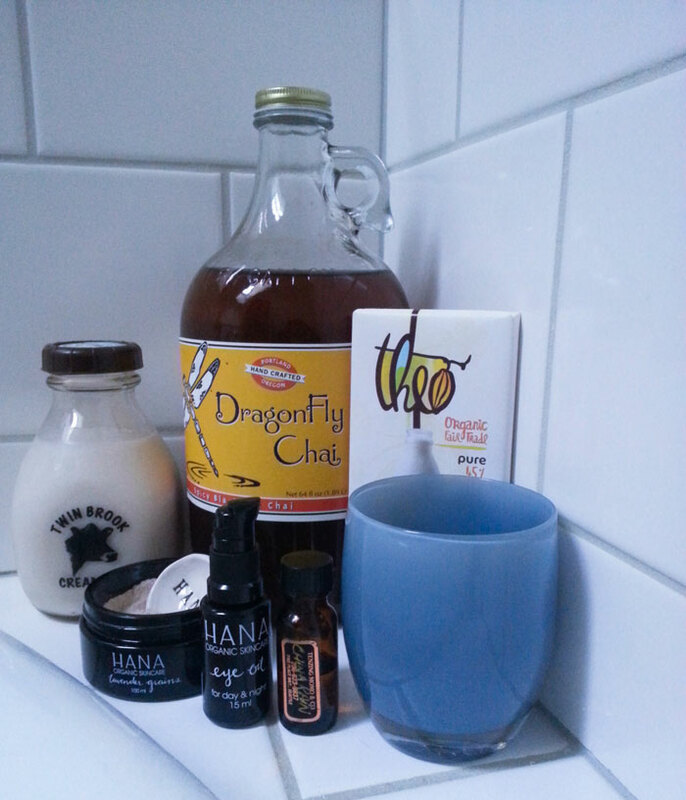 Read my reviews of HANA Organic Skincare products! I really love oils for my skin, and I especially wanted to make something uncomplicated and gentle for the eye area. There are few ingredients involved, but they blend nicely to smooth your skin. I apply once in the morning and at night. In my humble opinion, the best chai in the world! Handcrafted from a microbrewery in Portland that uses organic fair trade teas. In addition to improving digestion, chai enhances the immune system, fights inflammation and has antioxidant properties. I especially like to sip on their Spicy Black Tea when I’m relaxing in the bath. Besides tasting incredible in a Dragonfly chai, this local cream works wonders when added to *HANA Organic Skincare’s Lavender Grains. The addition of cream to the grains makes this a moisturizing, rejuvenating and gentle face mask. Plus the packaging is as simple as you can get, the cows aren’t fed any antibiotics or hormones and I love reusing the bottles as flower vases when I’m finished. This apothecary store has been in Pike Place Market for more than 37 years, and their China Rain has been my absolute favorite body scent since 1987! The blend of essential and base oils create their fresh, floral scent. Dark chocolate is full of antioxidants and major health benefits. I snack on Theo’s dark chocolate which is made in their Seattle facility (the first organic and fair trade chocolate factory in the country). These unique glass candle votives are hand blown at their Seattle studio. The founder’s story is truly inspiring as are her charitable donations (each sale donates to various causes). I have a few scattered around the house, but I keep this one to light by the bathtub when I want to unwind.